Alimony is a periodic payment by one former spouse to the other. The purpose of alimony is to provide an opportunity for the recipient spouse to become self-supporting. If alimony is awarded, it is usually “rehabilitative alimony” for a certain period of time to allow a dependent spouse to become self-supporting. Alimony can be awarded only before the final ending of the marriage. Failure to make a claim for alimony as part of a divorce means that you cannot come back later after the marriage has ended and start an alimony claim. 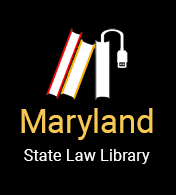 The Maryland Court of Appeals has noted," [t]he longstanding rule in Maryland… that the right to claim alimony is extinguished at the time of the severance of the marital relationship." If you signed an agreement about alimony, the court is likely to be bound by that agreement. This means that the court will not be able to change the agreement as part of your divorce. An agreement between spouses can be broader than what the court might decide if asked to award alimony on its own. For example, the court will only award a periodic monetary payment; however, an agreement between the divorcing spouses may cover payment of a mortgage or other type of support. • Alimony pendente lite - A court can award this type of alimony between the time you file for divorce (and make a request for alimony) and the time the divorce is final. The purpose of this type of alimony is to maintain the status quo during the divorce. It does not necessarily mean that you will be awarded alimony after the divorce if there is a finding of need. • Rehabilitative alimony - This is the type of alimony most likely to be awarded. Usually it is associated with a time-limited goal such as going back to school. For example, a court may award you rehabilitative alimony for the two years that it takes you to go back to school and finish a degree program that will enable you to better support yourself. While results will vary based on your individual circumstances, a good range for you to use in this estimate is an average of 3-10 years of rehabilitative alimony (if your situation matches the criteria). • Indefinite alimony - This is a relatively rare type of alimony awarded with no specific end point. You may receive indefinite alimony if (because of your age, an illness, or a disability) you cannot (1) make reasonable progress toward supporting yourself or (2) even if you can make reasonable progress; your ex-spouse’s standard of living is "unconscionably disparate" from yours. "Unconscionably disparate" means that there is a very large and unfair difference between your living standards. Alimony awards may be modified, extended, or changed or ended in the future. This may happen if one of the ex-spouses asks the court to consider the alimony amount in the future and circumstances have changed. As a result of Maryland’s equal rights amendment either a husband or a wife in a marriage may be required by the court to pay alimony. · The reasons for the divorce. • Whether the award would cause a paying spouse or a spouse who is a resident of a care facility with more than two patients to become eligible for medical assistance earlier than would otherwise occur. Although the court is not required to use a formal checklist, it must demonstrate consideration of all necessary factors, including any that are not expressly listed in this section. Such "other factors" can be defined as any factors that the court may deem necessary or appropriate in order to arrive at a fair and equitable award of alimony. When considering alimony, it is important to look at the tax consequences of the payment. Unless agreed to otherwise, alimony is usually taxable to the recipient and deductible from the income of the payor. Closely related to alimony is the obligation to pay attorney’s fees. Under present law, one party can be ordered to pay money for the other’s lawyer and for all costs closely related to bringing an action for divorce, depending on the financial circumstances of the parties. This includes court costs, and in some cases, even the cost of a private investigator. An order, award, or decree relating to alimony or disposition of property may be enforced by contempt proceedings. Contempt proceedings are governed by the Maryland Rules. When a person fails to comply with a judgment prohibiting or mandating action, the court may, in appropriate circumstances, hold the person in contempt. Unless agreed to otherwise, alimony ends on (1) the death of either party, (2) the recipient’s marriage, or (3) if the court finds that termination of alimony is necessary for a fairness.